One in every 10 people has been under the knife to ‘fix’ something they didn’t like about themselves or reduce something they felt they had an excess of. Hollywood stars are the biggest culprits, Case in point Selena Gomez. 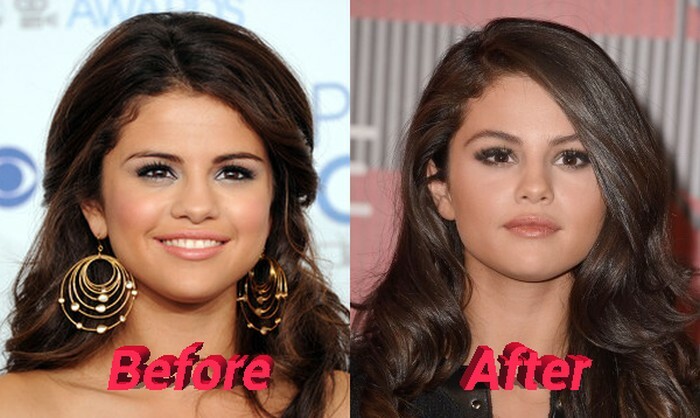 The “Wizards of Waverly Place” star has graced our screens since the tender age of 10 so she has literally grown in front of our very eyes, this works against her given we can clearly tell whether her body transformation is a result of puberty or if Selena Gomez has undergone plastic surgery. Rising to fame means having thick skin and no one knows this better than Miss Gomez. She has been on the spotlight in the recent past over pictures that surfaced leading people to believe that she had been under the knife. In typical Hollywood fashion the twenty four year old has stuck to her guns about being all natural but a picture is worth a thousand words and that’s a lot of words. A bigger cup size is clearly evident on the MTV Video Music Award winner’s chest and even though some people have come out to defend Selena saying that this might be as a result of weight gain and not plastic surgery, we all agree that there is a whole lot more bosom now than there was a while ago. Fuller lips are the ‘it’ thing in Hollywood right now and everyone from the Kardashians to Nicole Kidman and even Iggy Azalea are having the size of their lips changed by the use of fillers. They ‘we don’t talk anymore’ artist has not been left behind and her lips are now noticeably perkier and fuller. I’m sure this has nothing to do with weight fluctuation but what’s a celebrity without her fair share of die-hard fans? The excuse this time was make up (yes really) and word on the street is that Justin Bieber’s ex is using special make up to make her lips look bigger, I wonder what else the special make up can make bigger. While we are still on the topic of Selena’s face let’s talk about her eyebrows, her brow lift to be specific. I don’t know if there is anyone else out there who wonders why someone would pay a whole lot of money to get their eyebrows lifted, anyone? Well there have been rumors of an apparent procedure on the star’s face to lift her eyebrows. The nail on the coffin for the die-hard Selena supporters (see what I did there) was her nose. The artist, who is now dating The Weeknd a.k.a Bella Hadid’s ex, has undeniably had a nose job. This has been evidenced by different photos that have been taken of her over a period of some time. 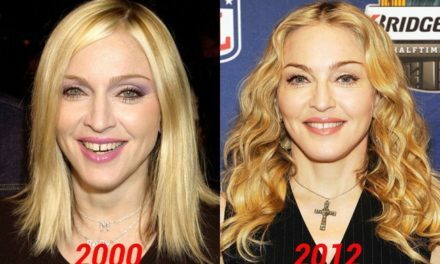 She now rocks a thinner nasal cavity that is clear from post-Rhinoplasty photos. The answer you get from the question of whether or not Selena Gomez has had plastic surgery all depends on who you are asking but one thing’s for sure she is a beautiful young lady with a lot of talent and we hope to continue seeing her on our screens right? PreviousTaraji P. Henson Plastic Surgery: Do the Speculations have Some Truth in Them?